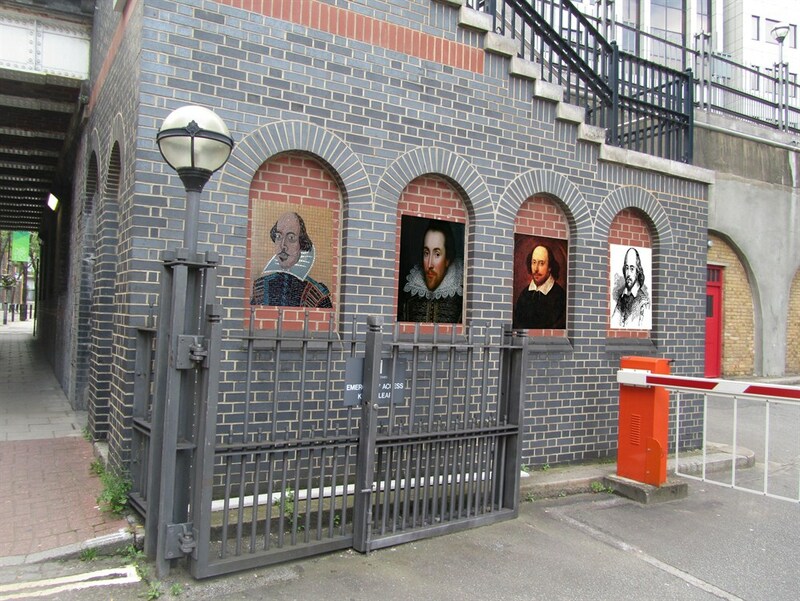 We wish to scope a project to place murals on the streets Shakespeare walked, which depict scenes from his plays, his words, and the London he inhabited. 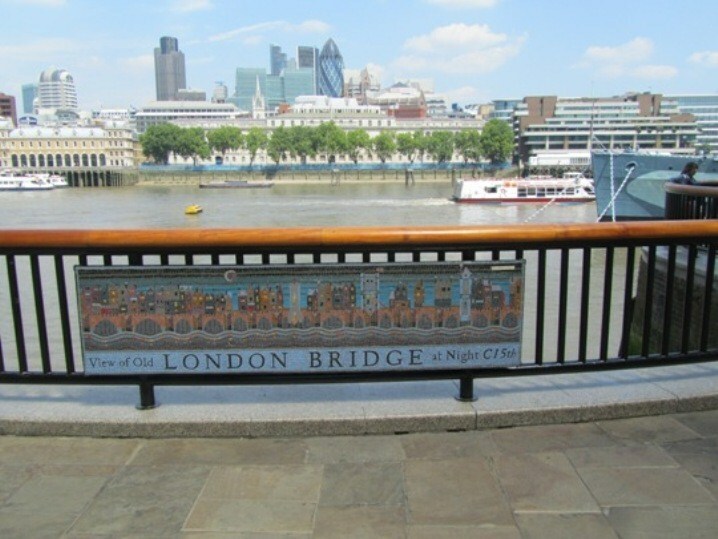 The project will encourage visitors away from the crowded river front, into the by-paths Shakespeare lived, loved and played in; supporting the small businesses of the back streets of Bankside, St Paul's and the City. 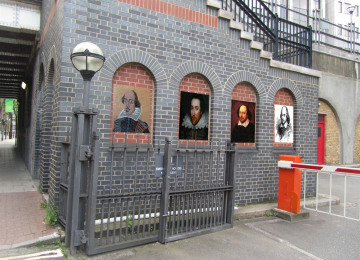 We would like to enhance the unknown places of Shakepeare's London such as Ireland Yard in the City where Shakepeare bought his first London house. 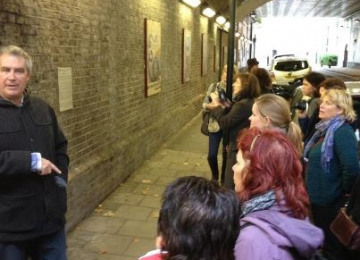 We need start up funding to enable us to set up this project. 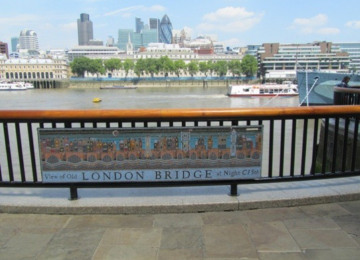 Once we have carried out all necessary research we will them be applying for funding to carry out the work- probably over 8 years at a cost of approximately £250,000. 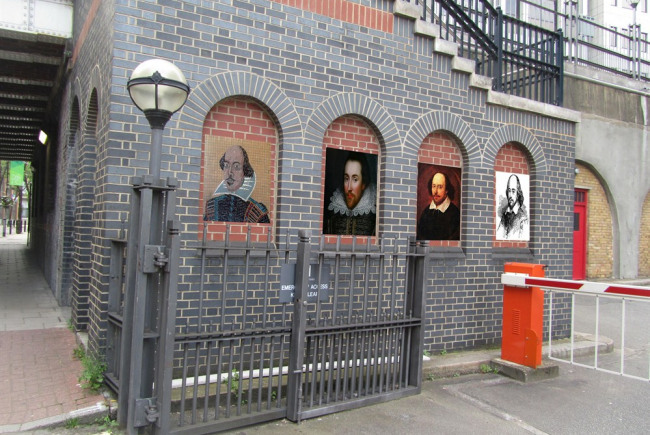 We will bring the City and Southwark together, creating a Shakespeare's Walk that spans the river and links these two very different communities, making Shakespeare's world and works accessible to all, in a 24/7 exhibition. 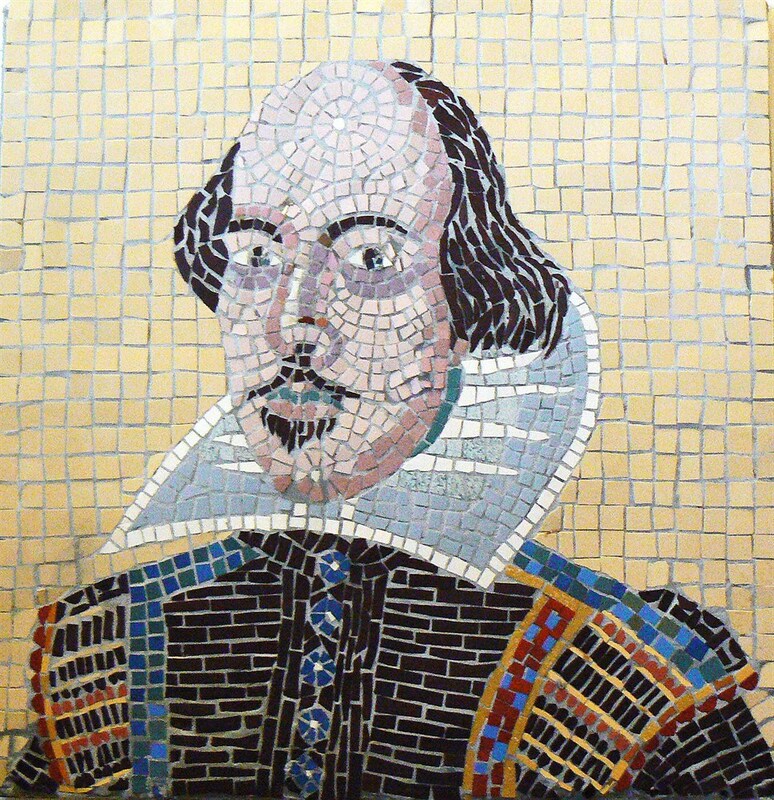 The world celebrates Shakespeare's 400th birthday in 2016- our mosaics will be a permanent contribuition to the celebrations. 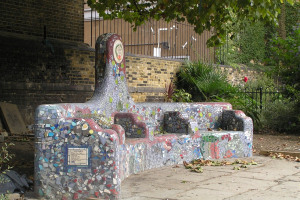 Mosaics civilise drab tunnels and grot spots, turning no-go-areas into street galleries that need little maintenance. They are fun and therapeutic to make, instilling calmness and patience. 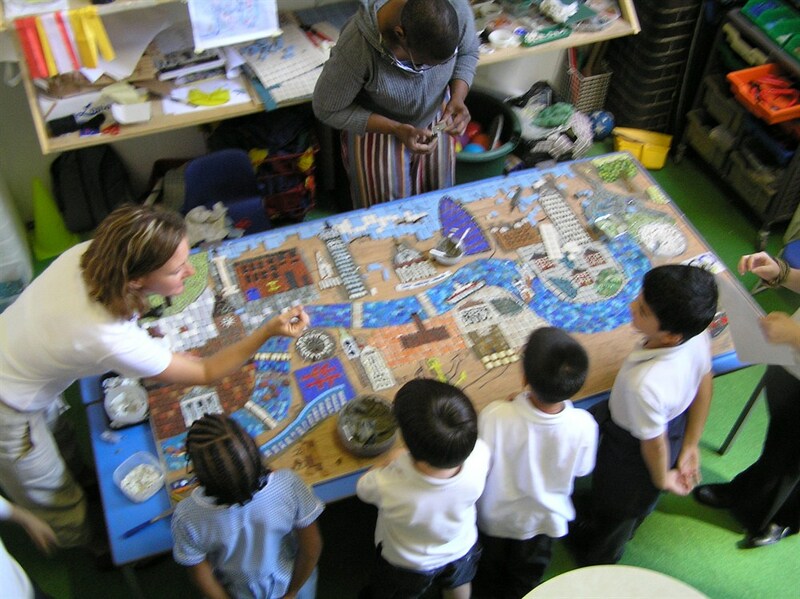 Making them brings people together, everyone's contribution is valued. 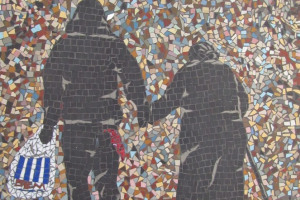 Our artist tutors work with people at risk of marginalisation to share the artisan skill of mosaic-making, and engage them in creating art works at the highest level. 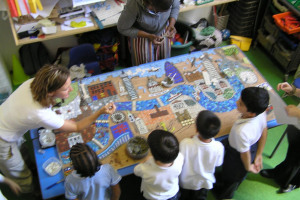 Seeing the work out on the streets being enjoyed and touched is a great feeling for those who contribute - and contributors can be named on ceramic plaques. 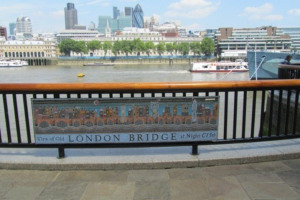 We have an excellent track record in this area of work, having installed over 200 fine art mosaics on London's streets. 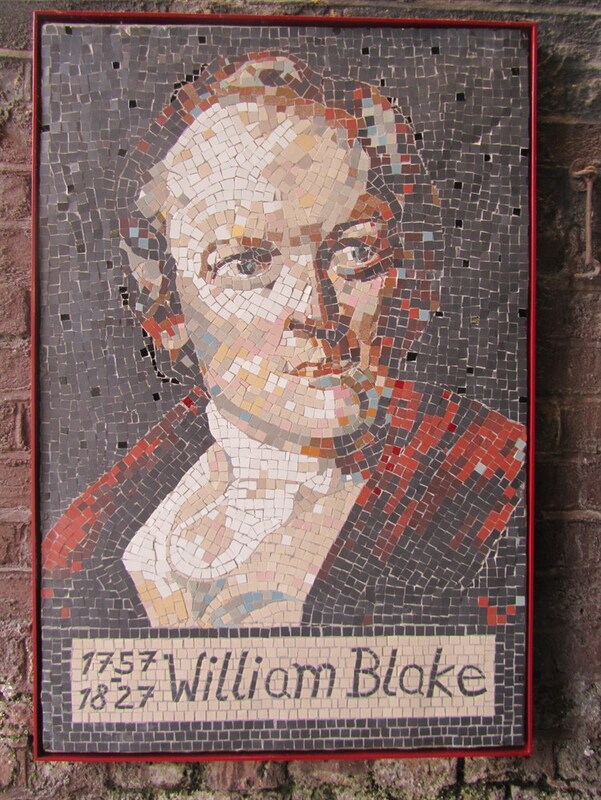 Our experience of creating Blake's Lambeth - a cultural quarter which celebrates his art close to where he lived and worked - will inform this new project. 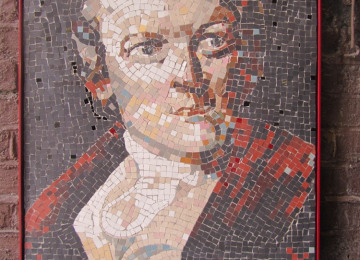 We expect the mosaics to last as long as the surface onto which they are placed. 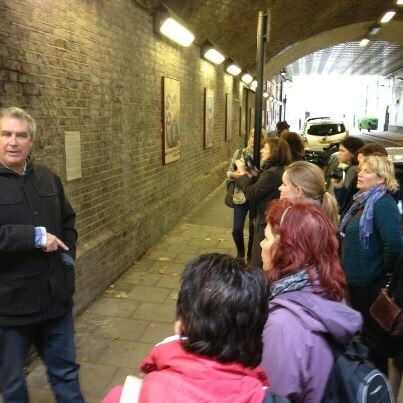 Our wider themes are to link streets to their histories and to bring character and detail to public space. 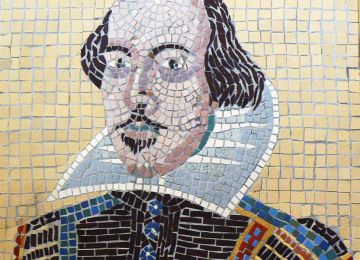 There will be major celebrations of Shakespeare's life in 2016, as the 400th anniversary of his death is recorded. 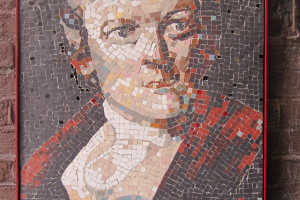 There is a chance we will have completed the project by this time; however it is likely that our work will continue for longer. 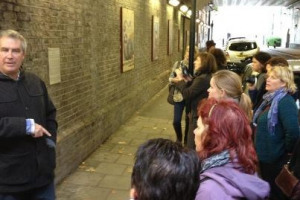 We anticipate engaging with at least 200 people each year supporting our artists. 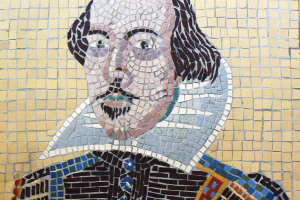 Mosaics take a long time to make; however their durability means the work is worthwhile and ultimately cost effective. 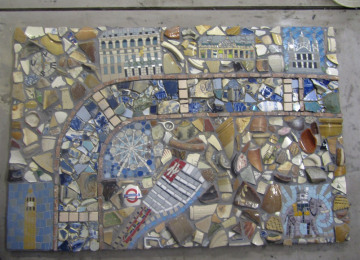 Mosaics are a metaphor for London: all the peoples, tribes, creeds, clans, cultures, colours, faiths and freedoms coming together to make a brilliant whole. Planning permissions will be sought as the project progresses- we have the necessary knowledge of this process. Around Bankside, Southwark, and St Paul's in The City. 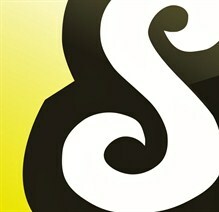 Project Overheads - apportioned costs for studio, admin etc. 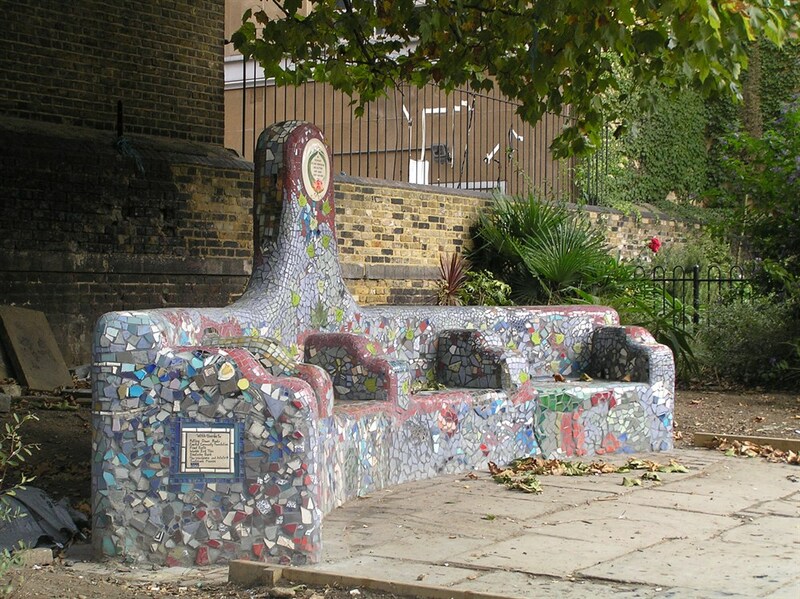 Volunteer Hours: other local meetings with residents, schools, archives, experts etc. 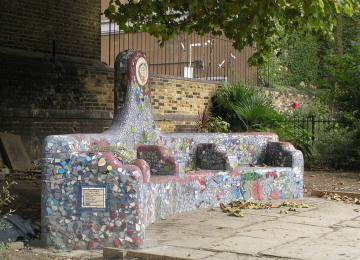 Our aim is to make London Beautiful through the creation and installation of mosaics in the public realm. 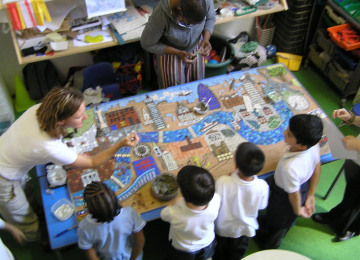 Our Artist tutors work with all sectors of the community including active citizens of all ages, school and university students, young peole in trouble with the police, people with mental ill-health and people with learning disabilities to share the artisan skills of mosaic making and to create art at the highest standard for the streets and parks of London. We have an Open Studio ethos which welcomes people in to share skills and contribute, and a permanent gallery which is open to the public Mon to Fri between 10am and 4pm, where our work is displayed before being installed on the streets. 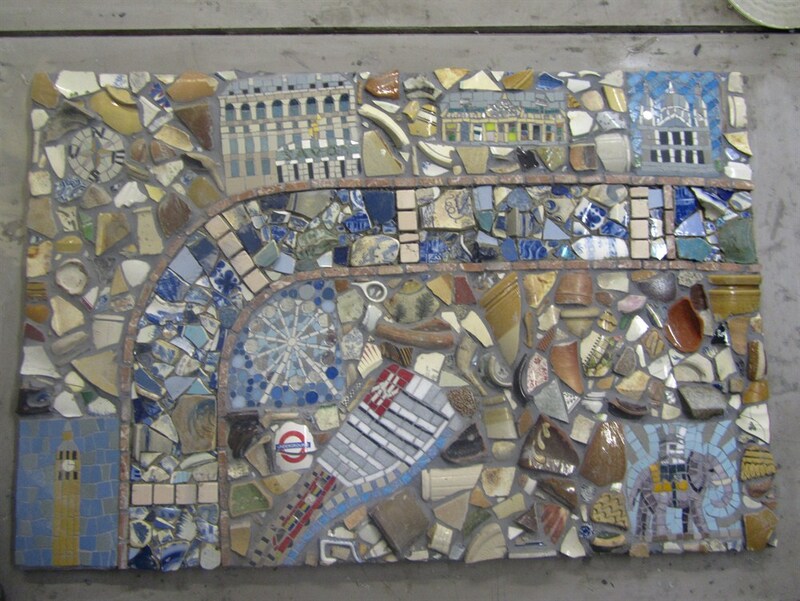 All of our work is for sale, with prices starting at £180. 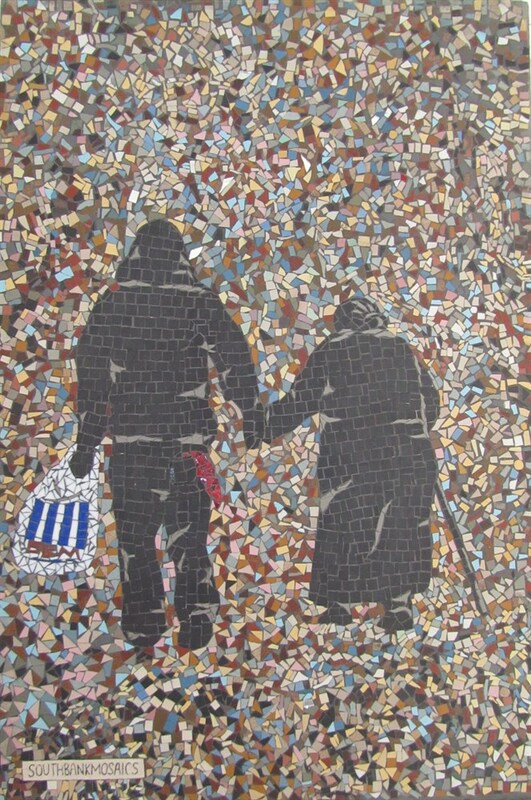 We undertake commissions small and large- please talk to us if you would like to commission a unique gift for someone. 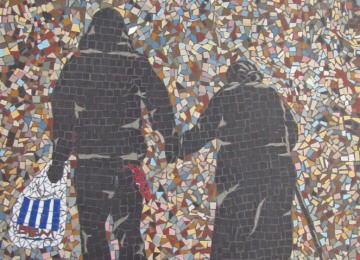 All the proceeds from sales go to support our work with people in the community. 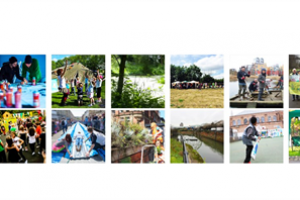 Project Delivery Manager: Joy Sturgess The Project Delivery Manager takes legal responsibility for receiving and spending the funds raised and ensuring the project is delivered. 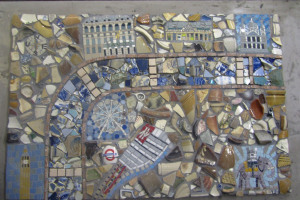 Contractor: Southbank Mosaics CIC The team responsible for building or installing the project.